Adding luminous and radiant coverage while concealing imperfections is easy with Cargo’s OneBase – a concealer and foundation in one. Created for women who mastered the art of Multi-tasking. I love products with multiple uses. OneBase is lightweight and enriched with essential oils for ultra hydration. Long wearing coverage that conceals even the most hard to cover areas. I loved the convenient tube and wand for an easy and mess free application – great for travel too! 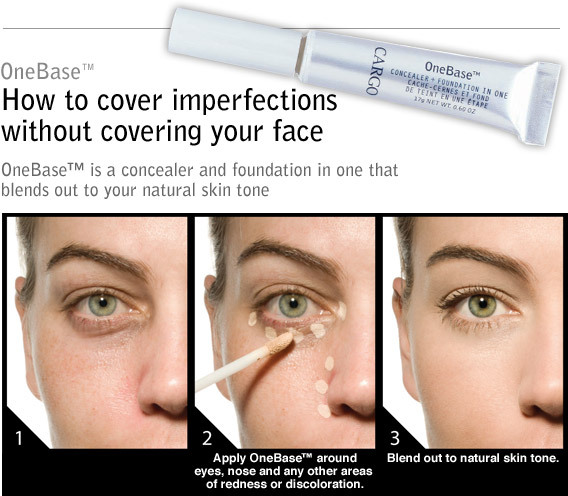 Once you start using OneBase by Cargo Cosmetics you’ll have a hard time putting it down. Need help eliminating redness, darkness? Want radiant and luminous skin? Cargo Cosmetics for that instant pretty that lasts all day! OneBase by Cargo Cosmetics gets a TEN!